salmon patties with a lemon sauce. 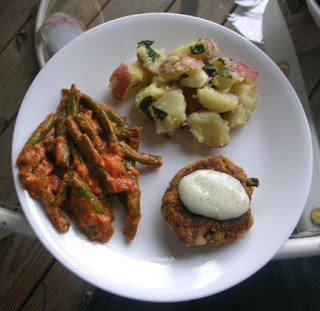 green beans with a cream sauce. lemon basil potato salad. 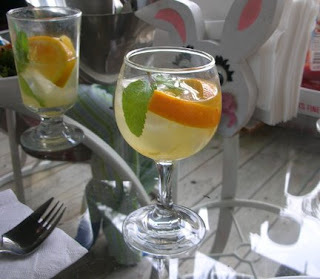 white wine sangria.